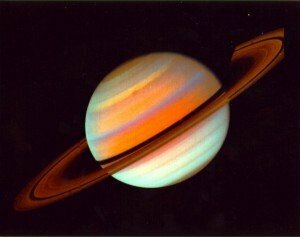 How Does Saturn in Sagittarius Affect my Sign? The following gives a possible idea of how Saturn in Sagittarius might affect you. Look to your Sun Sign (the sign under which you were born) and your Rising Sign/ Ascendant if you know it. ARIES: Lately it may seem as though “change” is your first name. You like to start new things but in the last years you’ve also had to come to terms with endings. A typical Aries doesn’t stay around long enough to process the past, but there may have been no getting around it. Transition may still track in your career. Now is the time to go through contracts and tackle legal matters. A crisis of faith may lead you to a deeper religious commitment. This can be an ideal time to go back to school or consider publishing a manuscript. Travel may beckon, but plan the details carefully. Most travel opportunities may come from work. TAURUS: If you have children, plan for their long-term security. If you are in a position to conceive, be aware that this is a fertile time. If children are nowhere on your radar, this can also translate to high creativity. However financial backing may be limited if you need it. Take responsibility for your financial future and explore options. Fears present themselves when discussing investments, merger of resources, death and taxes. Yet this is an excellent time to strategically plan and access your wealth. If you are in a sexual relationship, you may experience limitations within it. This requires a willingness to get to the root of the problem, which takes both participants. GEMINI: You are at the make or break time in relationship. This includes both business and romantic partnerships. Any intimate professional relationship is also up for scrutiny. If you are in an intimate relationship, the next couple of years determine if it will continue to go the distance. This takes work. Ignoring any problem will not cause it to go away. If you don’t understand your doctor, it’s time to shop for a new one. Challenged relationships find their foundation at this time or come to a reckoning. A new relationship cannot hold unless both feet are on the ground as it begins. CANCER: Health is the overall theme for the next couple of years. You want to create a working template for a sustainable routine; this helps mitigate stress. When you create a solid exercise, diet and relaxation routine before a crisis occurs, you reinforce your ability to weather difficulties. You may need to address this because of concerns for a loved one. When you take good care of your own body, it benefits those around you. There may also be a lack of support at work, either due to short-staff or shifting roles. Design and maintain a program to take care of you and in time the message magnifies.